If some of these misadventures of Mohammed bin Salman escaped international scrutiny, the recent slaughter, decapitation and mincing of the body of Saudi born American based journalist, Jamal Kashoogi, widely believed to be on his orders, sent chills down the spines of millions all over the world. In breaking with the tradition of succession by agnatic seniority among the descendants of Ibn Saud to the throne of Saudi Arabia, King Salman bin Abdul-Aziz al-Saud deposed his nephew, Mohammed bin Nayef and appointed his own son, Mohammed bin Salman as the crown prince in June 2017. The successful replacement of succession by agnatic seniority with that of agnatic primogeniture in 2017 by King Salman, was actually a second attempt at breaking with tradition in the oil rich Kingdom, following an unsuccessful attempt by King Saud bin Abdul-Aziz as-Saud in 1964. Following a power struggle between King Saud and his half-brother, Crown Prince Faisal over administrative control of the then debt-ridden Saudi Arabia, the King let out the idea of replacing his brother with his son as heir apparent. To survive this attempt to replace him as crown prince, Faisal had to rely on the support of the most powerful bloc within the royal household of Saud, the Sudairi seven, who not only prevented the change in the order of succession but executed the subsequent deposition of King Saud to make way for the ascendance of King Faisal to the throne. The Sudairi seven is a clique of seven sons of the founder of the Kingdom of Saudi Arabia, Abdul-Aziz al-Saud and his favourite wife, Hussa Sudairi. Named after their mother’s tribe, the Sudairi seven are the single largest number of male children from a single mother in the house of Saud, which combined with their clannish proclivities, made them the most formidable power bloc within the royal household. The support for Faisal was to earn the Sudairi seven the abundance of rewards with privileged positions of power, that later culminated into the emergence of two Kings – Fahd and the presently reigning Salman. As governor of Riyadh in 1964, King Salman had taken sides with King Faisal in the struggle to maintain the sanctity of the tradition of succession by agnatic seniority, hence he understood what it took to repudiate the old order, to make way for his son. The arrest of members of the royal household on charges of corruption by Crown Prince Mohammed bin Salman, on the premise of a vague form of corruption, was only a strategy of power consolidation to unsettle disgruntled princes and make it impracticable for them to organise a much anticipated revolt against King Salman, as he and others did to King Saud in 1964. Described as the favourite son of King Salman, Crown Prince Mohammed bin Salman has been the real power behind his aged and ailing (Alzheimer) father’s throne. With hands soiled with blood from its genocidal and infanticidal atrocities all over the Middle East, the house of Saud, under the leadership of Mohammed bin Salman, has lost spiritual legitimacy as the custodian of the two holy mosques of Mecca and Medina. Many watchers of the oil rich Arab Kingdom were not surprised by the recent attempt at preserving the throne exclusively for the Sudairi seven and their descendants within the royal household, as they are notorious for coveting public offices that are converted into fiefs mostly staffed by their sons. King Fahd was to stretch this clannish proclivity further when he unsuccessfully attempted to appoint his full brother, Prince Sultan as crown prince ahead of his seniors in 1982. 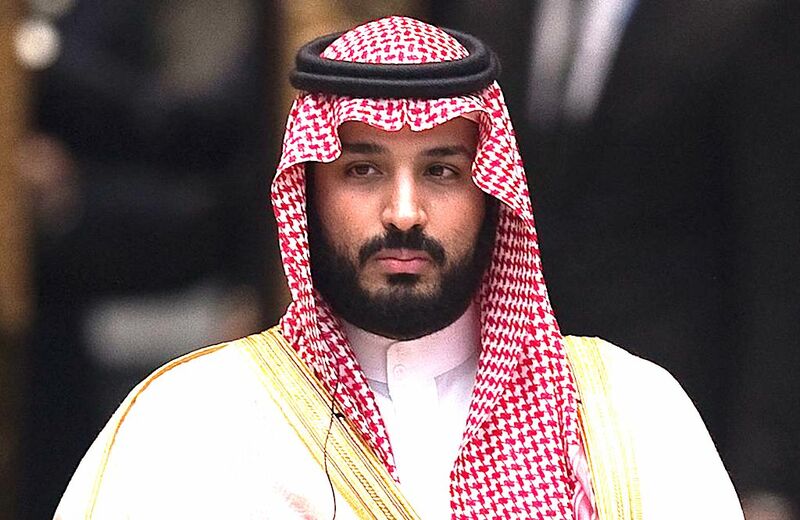 The recent elevation of Mohammed bin Salman to the position of crown prince is only in realisation of a long standing scheme to permanently preserve the throne for the Sudari seven and their descendants. However, the recent actions of Mohammed bin Salman, the chief beneficiary of the grand scheme, may not only reverse the fortune of the Sudairi seven but that of the entire house of Saud. Behind the bright smile regularly beamed to Western audiences is a dark stone-cold hearted despot, who is prone to the excessive misuse of absolute power. Mohammed bin Salman’s obsession with regional rival, Iran, is also playing out in in the current proxy wars in Yemen and Syria, as well as in the internal politics of Lebanon. As the deputy crown prince saddled with the responsibility of superintending over the ministry of defence, Mohammed bin Salman escalated regional tension when he launched a savage war against the Iranian backed Houthi Shi’a militia, which has been battling the government of Saudi-backed Abd Rab Mansur Hadi since 2015, thereby turning Yemen into a killing field of thousands of unarmed men, women and children. In a clear case of double standards, Mohamed bin Salman has also continued to provide support for Sunni rebel fighters in Syria, while bombarding Shi’a Houthi rebels in Yemen, both of who are fighting for freedom from their respective repressive home governments. Mohammed bin Salman practically “abducted” the visiting Lebanese prime minister, Saad Hariri in November 2017 and “forced” him to resign for what he considered his inability to wade off Iranian influence in his country. In further demonstration of his resolve to tackle regional rival, Iran, on multiple fronts, Mohammed bin Salman mobilised other Arab gulf countries and allies in Africa and Asia to severe diplomatic ties with Qatar for the real reason of its friendly relations with Iran and its allied Shi’ite regional non-state actors. If some of these misadventures of Mohammed bin Salman escaped international scrutiny, the recent slaughter, decapitation and mincing of the body of Saudi born American based journalist, Jamal Kashoogi, widely believed to be on his orders, sent chills down the spines of millions all over the world. This cruel act of cold blooded murder is even more outrageous because Mohammed bin Salman, who appears to have fully morphed into the butcher of Riyadh, is widely considered to have turned the Saudi consulate in Istanbul into a slaughter slab, in violent violation of the sanctity of Turkey’s diplomatic enclave. The cocktail of naked lies deployed by the Saudi authorities to cover up an obvious state sanctioned act of terrorism is a national shame to the world’s most important Muslim country. With Mohammed bin Salman, Saudi Arabia has degenerated into a rogue state. After successfully exorcising the cancer of Mohammed bin Salman, the Kingdom of Saudi Arabia must revert to its founding policy of neutrality in international relations, end all wars that it is driving in the Middle East and beyond, and assume the role of peacemaker, in line with its responsibilities as the custodian of holiest sites of Islam. The numerous atrocious activities of the blood thirsty and power drunk Mohammed bin Salman has brought opprobrium, shame and disgrace to Saudi Arabia, while also exposing its inherent contradictions as an absolute monarchical theocracy. With hands soiled with blood from its genocidal and infanticidal atrocities all over the Middle East, the house of Saud, under the leadership of Mohammed bin Salman, has lost spiritual legitimacy as the custodian of the two holy mosques of Mecca and Medina. The Kingdom of Saudi Arabia should not take the rest of the world, which has thus far tolerated its intolerance and accommodated its unaccommodating stance against people of different faith and races, for its degenerate ride any longer. To save whatever is left of its battered image, Mohammed bin Salman, the world’s most dangerous man, must be replaced as the crown prince and next in line of succession to the throne of Saudi Arabia by King Salman. This is also an opportunity for the house of Saud to revert to the pseudo-democratic tradition of succession by agnatic seniority, which had guaranteed its stability in the several decades since its founding in 1932. After successfully exorcising the cancer of Mohammed bin Salman, the Kingdom of Saudi Arabia must revert to its founding policy of neutrality in international relations, end all wars that it is driving in the Middle East and beyond, and assume the role of peacemaker, in line with its responsibilities as the custodian of holiest sites of Islam. Not to do these is to risk the entire house of Saud going down in eternal infamy with Mohammed bin Salman and the disastrous consequence of a destabilised kingdom of Saudi Arabia.